This calculation, which is also called a “LQ”, is the relative concentration or density of a specific cluster in the region versus the US average for that cluster. Specifically, the LQ is calculated by taking the per capita concentration of that cluster’s employment in the region, divided by the same per capita concentration for the US. 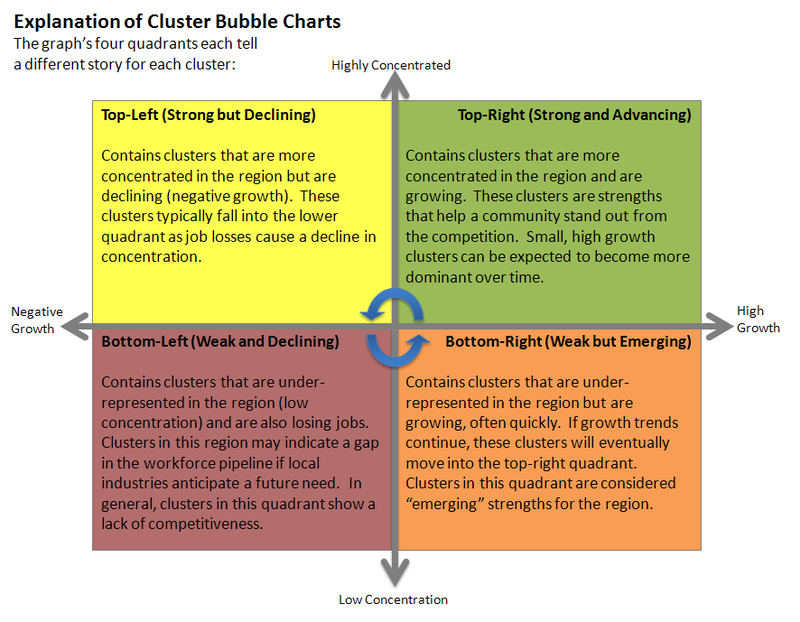 A 1.5 LQ indicates that the region has 50% more cluster employment on a per capita basis than the US, which is a sign of relative local strength in that cluster. When talking about occupational employment, we use the term “CQ”, or concentration quotient.